Politics and celebrity – a combination that used to mean something very different a decade ago. Ever since the Obama-McCain Race in 2008 when YouTube first became the major battleground in the presidential elections, the way we see politics and celebrity has shifted. From that point on, we all knew there was no going back. Whether we choose to believe it or not, it was that election that paved the way for people like Donald Trump to be able to enter the political realm. Little did we know just how ginormous the consequences from that thought would turn out to be only a few years later. There are a few influential families on the planet that have won over the hearts of many thanks to the power of the online world. Back in the day, none of the Hollywood celebrities dabbled much in politics. In 2018, there isn’t a single Oscar ceremony that doesn’t try to wow us with cleverly written political humor – from unfortunate impressions of Melania Trump to jokes about Fox News. I’m willing to believe that Hollywood’s boldness in addressing political manners, coupled with Obama’s revolutionary election campaign are what made it possible for families like the Kardashian-West-Jenners to carefully plot a political career. What usually happens is, it stops being enough. All the satisfaction that came with fame and celebrity, it slowly starts to fade away. When you have this much influence, all you can think about is multiplying it. In the case of the Kardashians, we can be almost certain that they planned for this well in advance. Ever since “Keeping Up with the Kardashians” made Ryan Secrest filthy rich, it was probably decided that, somewhere down the line… they’d take the next natural step. … it’s not exactly hard to wonder what they might want to do next. What are they REALLY looking for? What does anybody really want in life? In business? All the research that’s ever been done, all the research I’ve personally conducted leads to the same simple answer. Status is a major part of the reason Donald Trump chose to go into politics, and even though very few people thought he stood a chance – he won. Why? Because he spent decades manipulating public opinion and surrounding himself with people who knew how to do that on another level (Roger Stone, anybody?). He knew well enough in advance he was going to be part of the presidential elections – and he spent years preparing the public for it. He executed the most brilliant election campaign in the history of US elections, arguably even better than Obama’s – who laid the foundation of using social media on this scale to get elected in the first place. While a big part of the world kept telling anyone who’d listen that they have no idea how this happened, it’s actually pretty clear. When you have online influence over hundreds of millions of people and the right advisors, nothing is impossible – not even a Trump win. Especially with the in-depth research he did on his target audience and the brilliant strategy of polarizing the country in order to reach them in a more powerful way. It was a bold move that no presidential candidate had ever attempted before. 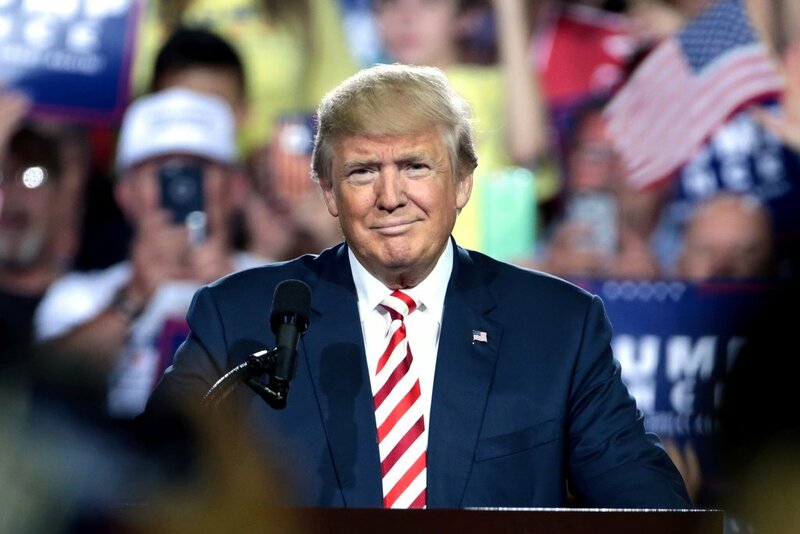 Trump set the bar for successfully venturing into politics really, really low – and today, we know that virtually anybody can do the same, if they already have a certain amount of power, financial means and a great team around them. I’ve been monitoring families like the Kardashians for a while now, studying their brands and how each one has evolved, seeing things very few others see and looking at the psychology behind what they do. During the last few years I was waiting to see the signs that would prove my theory correct – and they’ve been around for a while now. Over the last few months, the Kardashians have invested in strategic PR and have taken on a new direction that shifts public perception in a brilliant way. You’d see an article about Courtney speaking about cosmetics regulations in Capitol Hill here and a post about Kim taking on prison reform there. Plus, it’s doubtful that any of us have forgotten Kanye West’s vow to run for president in 2020. While many still think it was a joke, in April 2018 he confirmed his decision, amending the year to 2024. While most of us are laughing, a select few are able to see that the Kardashian-West family has slowly, but surely been grooming the American nation for another celebrity president in 2024. Can it really happen? The answer is a definite “yes” – and it’s going to be a fascinating journey to watch from the sidelines. Don’t spend too much time laughing about the possibility of Kim Kardashian becoming a First Lady – because you may end up with a lot more smile lines and a lot less to laugh about in 2024. Over the next few years we’ll be seeing a lot more news and paparazzi’s strategically pre-agreed upon questions to the family about political matters. We’ll see them discussing it more and more on their show and on their individual platforms. Remember when Kim posed as a First Lady on the cover of a magazine? Nothing this family does is ever arbitrary – they were testing the waters to see just how ready the public is for a rapper-turned-president. As it turns out – we’re not quite ready yet – but if I’m correct, that’s about to change over the next 6 years. Isnt it interesting though how technology has allowed such a shift that it is now easier to influence so many on such a scale as to be able to win an election, change a regulation or law, influence a movement etc etc. Where in my younger days we had to lobby, write tons of letters, if we had the money advertise in news papers, (I know what’s a newspaper right?) Etc etc. Bottom line is, as you so well put it, if you understand proper branding and have the right strategy laid out and executed with proper timing. You too could be the leader of a world power, and not even have to be a dictatorial politician. Love this post Des! ?